In general, this show felt intense: densely packed, young, hip, technicolored, and very queer friendly. There were plenty of locals in attendance, and the community here seems pretty close knit. 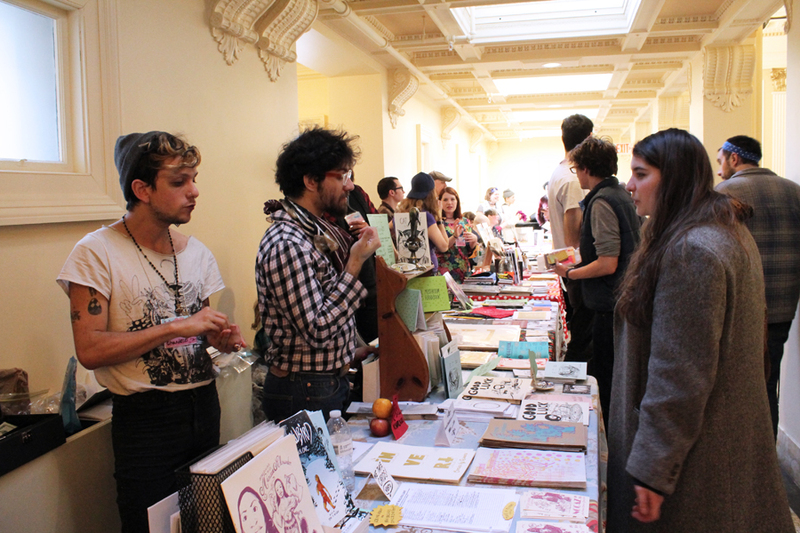 But there was a healthy portion of out-of-towners on the exhibitor list too. 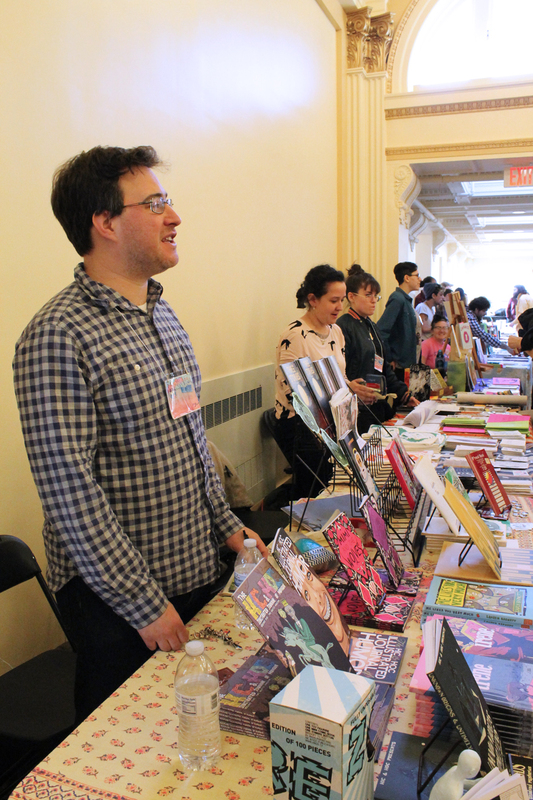 In the room I was tabling, I didn’t even have to turn my head to spot half a dozen cartoonists I recognized from Brooklyn. A group from New Orleans also made the trip, and a gaggle of CCSers from Vermont. It was a bit slow on Saturday, but by the end of Sunday I had covered my table, which was a small victory. I sat on a micro-publishing panel moderated by Whit Taylor, along with Matt Moses of Hic and Hoc, Dave Kelly of So What? and Virginia Paine of Sparkplug. We covered a lot of ground without getting derailed, so I call it a success. Dave Kelly talked about the need for publishers to work together to grow distribution systems, and it’s something I’ve been dwelling one. Sometimes DIY can go too far–we don’t have to do everything ourselves. This year, I’d like to build relationships with other micro-publishers to meet some common goals. Here is a just small sampling of the tables I visited at RIPE. Part of the Spiders Peepaw gang. I’d tell you their names, but I think they like to keep it mysterious. 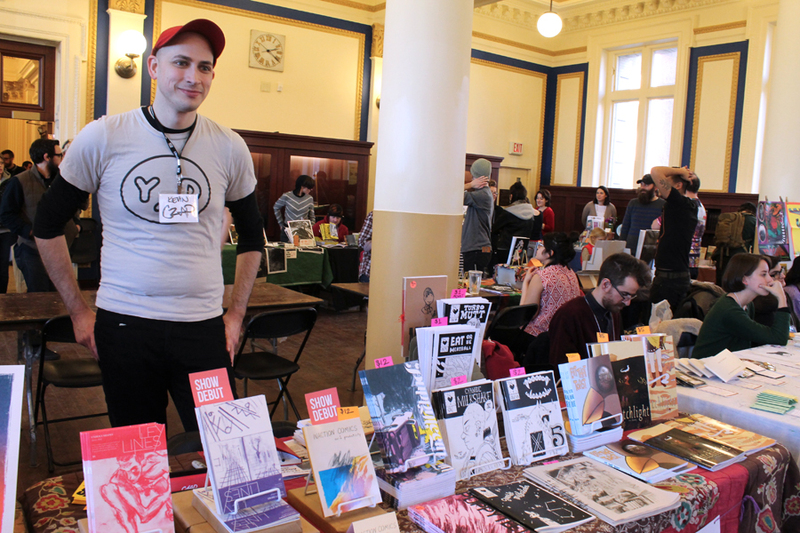 Kevin Czap, of Czap Books. 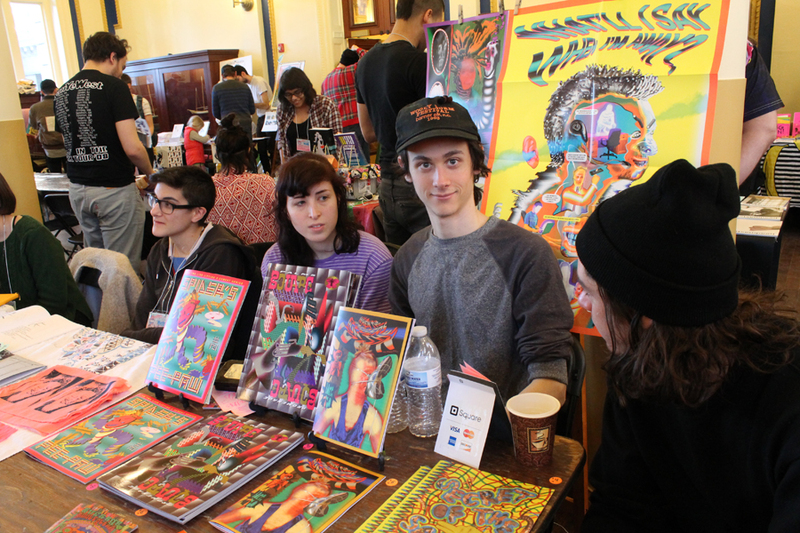 In the foreground are M. Chandelier, an artist from New Orleans, and Joe DeGorge, one half of Harry and the Potters (he also makes zines). Matt Moses of Hic and Hoc, always pleasantly tolerant of my presence and my photo-taking. 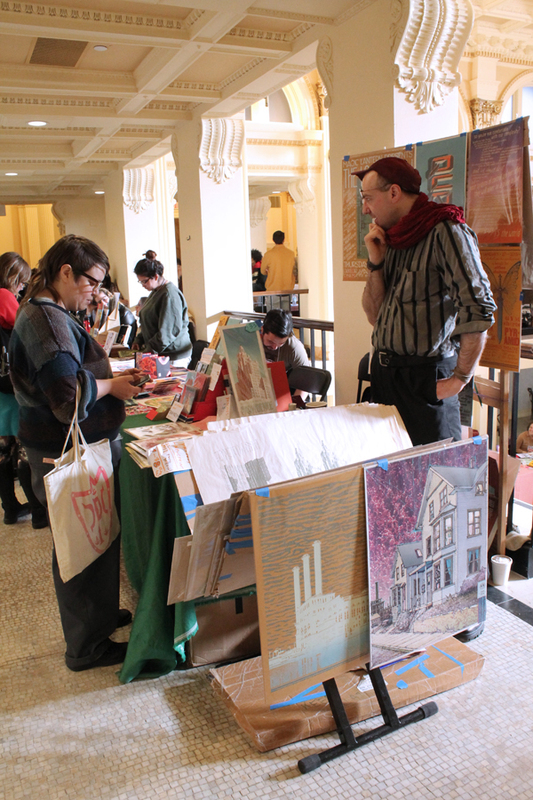 This is the table of local printmaker Ian Cozzens, being staffed by Scott Reber. 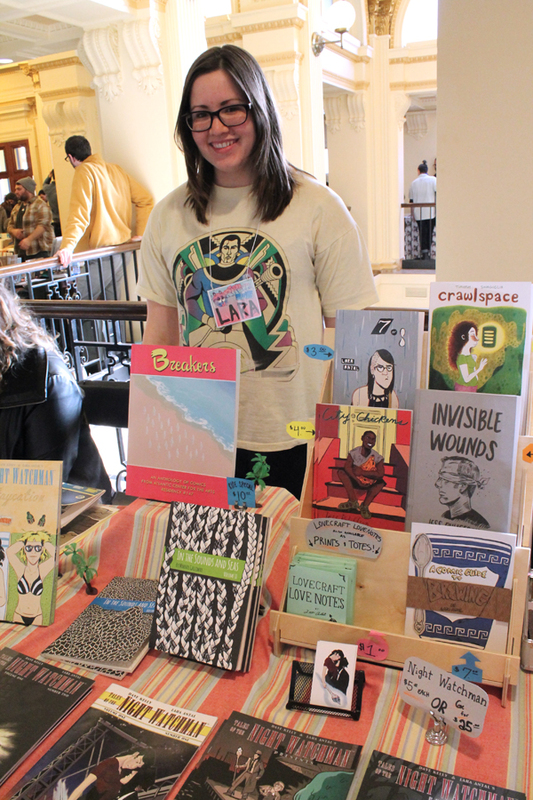 Providence grows some excellent screen printers. Lara Antal, one half of So What? Press. This entry was posted in Uncategorized and tagged conventions, RIPE. Bookmark the permalink.